Compression stockings are worn to improve blood flow in your legs. Specially fitted compression stockings are tight at the feet with a gradually looser fit on the leg, to move blood up your legs. This type of compression helps to fight the effects of gravity and assist the body in venous return, deoxygenated blood flowing back up to the heart. It is recommended to wear a pair of compression socks or stockings during a long flight or drive. Compression helps prevent leg swelling and can also relieve symptoms caused by varicose veins, skin ulcers, and deep vein thrombosis (DVT). DVT is a type of blood clot that develops within a deep vein in the body, usually in the leg. This is due to prolonged hours of sitting in the same position without moving. 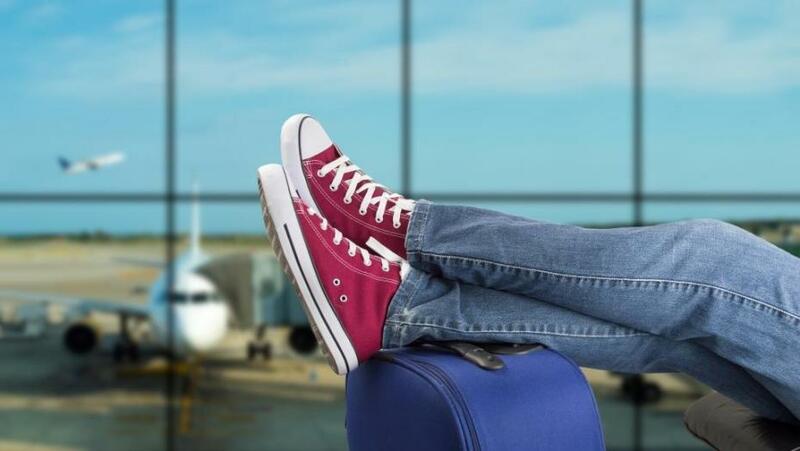 While traveling, the blood circulating in the calves and feet warms up. Then, the blood will thicken to form clots. This blood clots result in DVT. DVT usually occurs in the larger vein that runs through the muscles of the calf and the thigh. DVT can cause pain and swelling in the leg and may lead to complications such as a pulmonary embolism. This is a serious condition that occurs when a piece of blood clot breaks off into the bloodstream and blocks one of the blood vessels in the lungs. Those who are pregnant can also develop DVT, especially during the late stages of pregnancy. Aside from hormonal changes, there is also an increase of blood clotting possibility in women who are pregnant. Because there are different types of compression stockings or socks, it's best to use the kind that your doctor recommends and that work best for you. If you are experiencing any of the above symptoms, be sure to make an appointment with your physician.